Home » Eddie Hall’s Deadlift Versus Ray Williams’ Squat: Is One More Impressive? 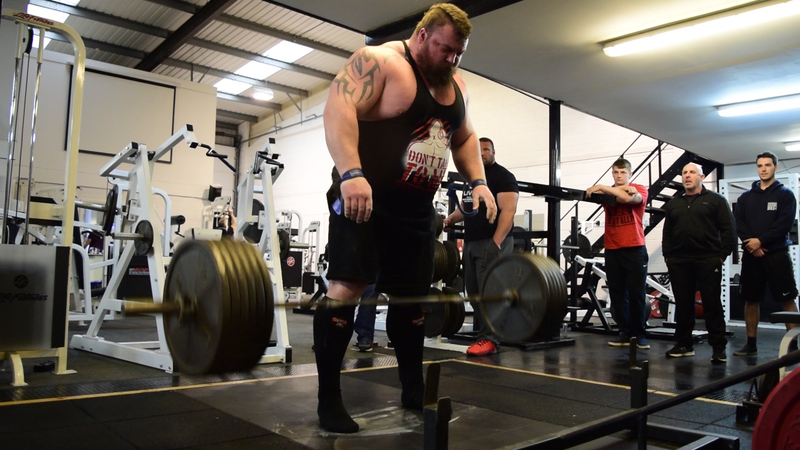 Eddie Hall’s Deadlift Versus Ray Williams’ Squat: Is One More Impressive? Every now and then, I’ll have to fill out a form of some kind, and when I do, I always get stumped by what I actually do for a job. I write, I film, I photograph, I run competitions, scout athletes, and the most prestigious of them all, I moderate the Official Strongman comments on YouTube. This is both a blessing and a curse; on the one hand I get to interact with some great fans, and on the other I got trolled a lot. Aside from the more disturbing racist and religious comments which just get deleted, the comments are mostly whether strongman deadlifts would count in powerlifting or not. On the surface, powerlifting and strongman are almost interchangeable: both attract the same kind of people, and each sport has them doing similar things. The devil is always in the details. Powerlifting is structured, elegant, and respectable. This looks so clear cut on paper: Eddie went heavier so wins the weight argument. It’s not that simple though. Eddie may have lifted 44 more kilos than Ray, but there are other factors to consider. Namely, while the squat and deadlift both involve lifting and lowering a weight, they are worlds apart mechanically. Standing at 6ft 3, Eddie lifted 500kg around distance of 0.86m (roughly the distance from floor to lockout) or 430kgs per metre; compare that to Ray’s 456kg over perhaps 0.5m (roughly the distance traveled from parallel to lockout) or 228kg per metre. Eddie came to Leeds big. (As an aside – On the Friday night before the competition I sat across from him at an all you can eat steak restaurant, and watching him load up was almost as impressive as the pull itself.) The world deadlift championships are “Open,” meaning there are no weight restrictions, and he wisely made the most of that, with rumors of him weighing 200kg on the day. That would make his deadlift a 2.5 bodyweight pull. Ray is not a small guy by any stretch of the imagination, tipping the scales at 180kg. That would make his squat an incredible 2.53 times bodyweight. This was touched on briefly in the intro: strongman allows you to use anything short of a forklift to get the weight from the floor to lockout. That means, suits, straps, belts, and anything else you care to throw at it. From a purist’s perspective this is an affront to the simplicity of deadlifting and creates a technological arms race. To everyone else it makes everything a lot simpler and easy to understand. Despite goading from Brian Shaw, Eddie used a a suit, belt, and straps on the day. Powerlifting likes to open things up a little bit more and has different divisions for different kit. Without me spending the next 1000 words going through all the differences, just know that Ray was competing in the classic division that is far stricter on equipment allowing only neoprene sleeves and a belt (both of which have to be approved by the federation). Both lifters performed technically brilliant versions of their chosen lift. Eddie kept a straight back and didn’t hitch, and Ray hit depth with ease and powered through flawlessly. Accepting that both performed the lift well (with record breaking weights), it leaves the lift itself. For the argument we’re looking at though the question is a little different. Which lift is a better indicator of strength? There’s no denying that the deadlift has a certain beauty in it’s simplicity, especially when it comes to strongman. If you pick the bar up and put it back down again, then you have yourself a good lift. The squat may be a little more nuanced, but even that can be reduced to walking the bar out, squatting to below parallel, standing up and walking it back in. I honestly can’t split the two on this one, a heavy squat is just as impressive as a heavy deadlift and vice versa? Without the incredible story of the first ever marathon, would be people really still be running them in droves today? For those of you less familiar with the legend, it can be boiled down to Philippides, an ancient greek messenger sprinting from Marathon to Athens. To warn them that the Persians were coming (Watch 300 to see why that is terrifying). Philippides succeeded, getting there just in time but paid the ultimate price for his effort. Warning the Athenians with his dying breath. That’s a damn good story, good enough to keep people hitting the pavements every weekend thousands of years later. When Eddie collapsed to the floor after pulling that 500, there wasn’t a single person in that 10,000 seater stadium who didn’t hold their breath. The fear that strongman might have its first martyr became real. Fortunately, Eddie quickly composed himself and was/is fine, though the drama and the suspense stayed with everyone. Compare that to Ray’s lift, he made that squat look easy, everything from the walkout to comfortably hitting depth and of course the way he blew through it, left you without a sense of gravitas. As if this was just a stepping stone to what he really can do. There is one big redeeming factor though for Ray: this was no exhibition lift. He had six more lifts to go, with three attempts on both bench and deadlift ahead of him, and when all was said and done he destroyed the total world record, too. Before I reveal my winner, please note this is completely my (quite possibly biased) opinion, and I’d love to see what your thoughts are. The Wow Factor sealed it for Eddie Hall, who just edges out the great Ray Williams. Hopefully Ray will recover from this obviously devastating blow (joking), as I just can’t shake the feeling that this is just an indicator of things to come. Someone who can make a 1005.3 lbs squat look like a heavy training lift is going to do things we can’t even fathom at the moment.